Mobile cloud computing (MCC) is becoming an important way of data sharing. It is of great value for people to store and retrieve personal data at anytime and anywhere. Attribute-based encryption (ABE) can solve the problem of flexible sharing among multiple users in traditional encryption, but it cannot apply to mobile clients directly because of its low efficiency. How to meet the people’s practical application needs and to control and manage the personal data safely and flexibly is a concrete embodiment of the security problem after the cloud computing is mobile. 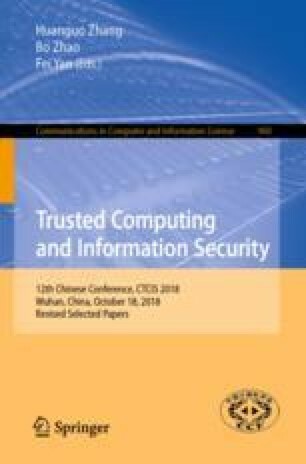 In this paper, an efficient and revocable decentralizing attribute-based encryption scheme for mobile cloud environment is proposed. In the scheme, it does not have the upper limit of the total attribute, and without the central authority (CA), each attribute authority generates private key independently with the users. In addition, the linear secret-sharing scheme (LSSS) is used to construct the access structure with a high flexibility. The method of precomputing and outsourcing can reduce the computation cost of the user side. Besides, the scheme is proved to be static secure and support revocation under the random oracle model. Compared to the existing related schemes, the proposed scheme is more practical and effective in mobile cloud environment.